We have interviewed Mrs Hunter about Australia. We started off by asking her, “What do you think about Holbrook Australia Year?”. She replied happliy, “In fact, I do! My cousin and her children live in Sydney.” Courtney was very surprised at the answer. She looked guilty as she said that. My uncle has lived in Australia for a long time so I asked him a few questions by email. He answered my questions with enthusiasm. Here they are. What is an Australian’s favourite food? The other day it was 28 degrees. It is hotter here because the O zone layer is closer. My uncle asked me whether I thought the Australia year was good. I said I think the Australia year is briliant. It is a way to show that everyone is different. We asked some of the members of staff in our school what their favourite animal is. Here are the answers. Miss White: A duckbilled platypus because they look unusual. Mrs Barker: A kangaroo because they have powerful legs and poaches. Mrs Farmer: A tree frog because they are colourful and poisonous. Mrs Nunn: A koala because they are relaxing to watch. Miss Gough: A wombat because they dig. Miss Hector: A Bush baby because of their big eyes and their feet are a cross between humans and frogs. Mrs Hoole: A koala because very cute and cuddly. Mr Millar: Wild parrots because they are colourful and very loud but quite annoying. Mr Whitewick: A duckbilled platypus because they look very unusual. Mrs Hunter: A kangaroo because of their bouncy legs. Mrs Wilson: A koala because her son has had family relations. Mrs Wigly: A koala because they are cute and cuddly. 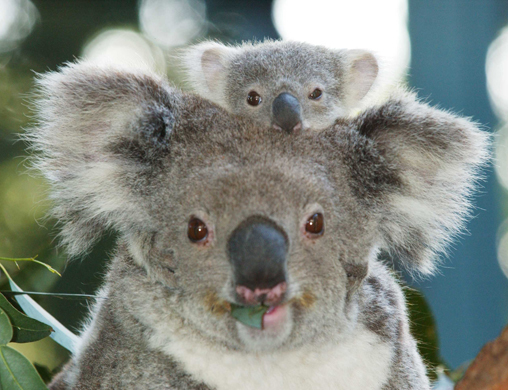 Ms Humphries: A Koala because they are cute and cuddly. Mrs Weeks: A koala because they are cute. Ella: A kangaroo because of their pouches and they are very bouncy, just like me. Courtney: A Wombat because they are cute and small. AND YOUR FAVOURITE AUSTRALIAN ANIMAL IS? TELL US IN THE COMMENTS SECTION!